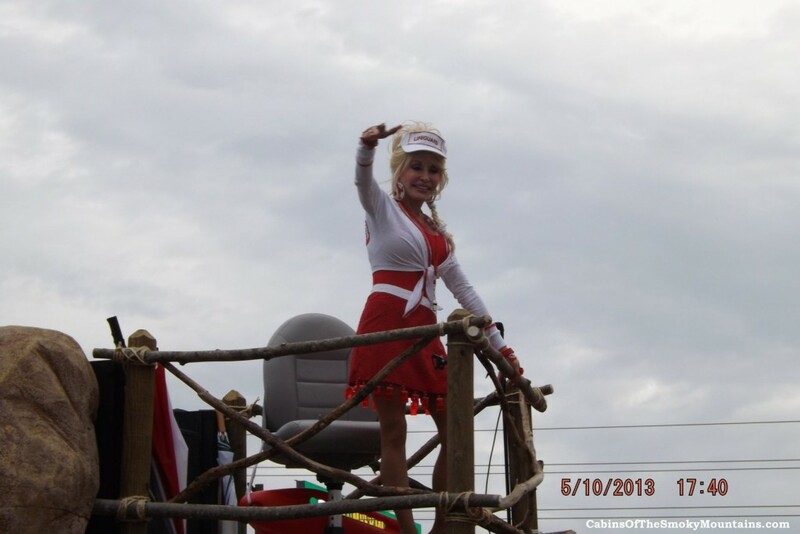 More than 50,000 people attend the Dolly Parade each year, and many of them come to catch a glimpse and photo shots of Tennessee’s favorite daughter, Dolly Parton herself. 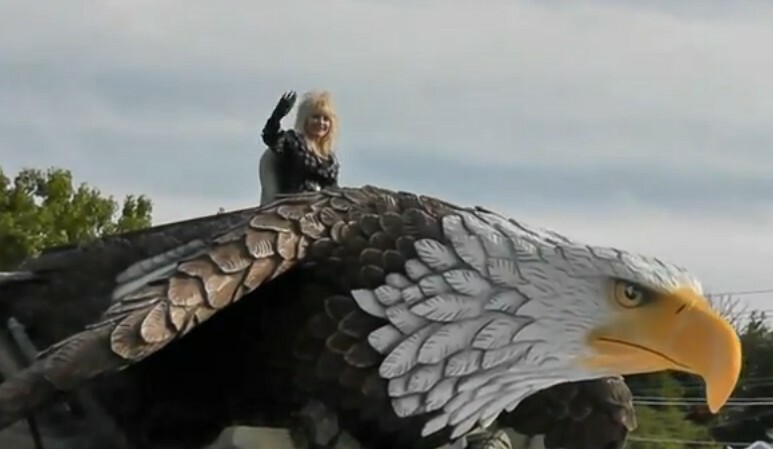 Dolly comes home every year to lead her parade and can usually be seen prior to the event in a horse-drawn carriage touring her own theme park, the famous Dollywood. The Dolly Parade is one of the area’s biggest parades, a fun way to anticipate the coming of summer, in a temperate time of year when the surrounding Smoky Mountains and Great Smoky Mountains National Park are alive with color from wildflowers and rapidly greening forests. The parade starts at 6 pm. at traffic light #6 in Pigeon Forge and proceeds north along Parkway to light #3. Get there early and stake out a good spot for your lawn chairs to watch the traveling May fair pass by. There will be marching bands, baton twirlers, entertainers, costumed characters, celebrities, prancing horses – and many a colorful float. Grand Marshal Dolly will lead the parade on her own float, and speculation each year is, how will she be costumed and what will her float’s theme be? In recent years she’s carried the themes of innovative new rides and adventures at Dollywood. Whatever she chooses, it’ll be spectacular. We await events. If you go to the parade, send us your best pictures and we’ll post them here and on our Facebook page!